Sodium lignosulfonate(Sodium lignosulphonate) is yellow brown powder completely water soluble,is naturally anionic surfactant of high molecular polymer, rich in sulfo and carboxyl group and has better water-solubility, surf-activity and dispersion capacity.Could be used for construction, ceramics, mineral powder, chemical industry, textile industry (leather), metallurgical industry, petroleum industry, fire-retardantmaterials, rubber vulcanization, organic polymerization ,also could used as animal feed additives due to its antimicrobial and preservative properties. Could work as plasticizer in making concrete n making concrete to maintain the ability of concrete flow with less water.Also used during the production of cement, where they act as grinding aids in the cement mill and as a rawmix slurry deflocculant (that reduces the viscosity of the slurry). Could be used in lead batteries to acts on crystallization of the lead sulfate thus increase the battery to get a much longer life-time. 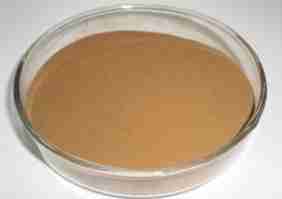 Could used as a filler and binder in ceramic tiles, resins to fiber boards, casting sand and in fodder pellets. Work as dust-suppression roads as well as in dusty processes within industry. Lignosulfonate is used as a dispersant in products like fodder, disperse pesticides, dyes,carbon black, and other insoluble solids and liquids into water. 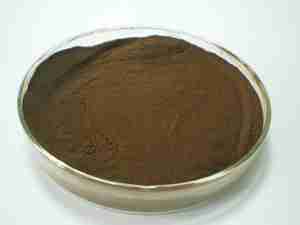 Could reduce the viscosity of mineral slurries is used to advantage in oil drilling mud, where it replaced tannic acids from quebracho (a tropical tree). Could be used for the production of plasterboard to reduce the amount of water required to make the stucco flow and form the layer between two sheets of paper. The reduction in water content allows lower kiln temperatures to dry the plasterboard, saving energy. Lignosulphonates could work as a binder of powder and granular materials: for iron ore powder, lead and zinc powder, pulverized coal, coke Toner pressure on the ball; extrusion of cast iron, cast steel sand repression; mud-brick wall and floor tiles molding; mineral aggregate into a ball and provides high strength, good stability, lubrication and mold good results.